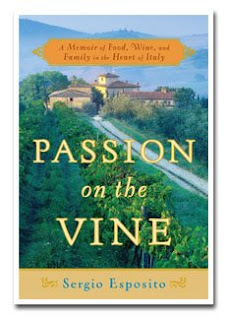 For May's edition of the Wine Book Club we read a book about the food and wine of Italy: Sergio Esposito's Passion on the Vine: A Memoir of Food, Wine, and Family in the Heart of Italy. Kori from Wine Peeps picked our selection, and we had a number of people send in reviews (some posted previously). The book was a hit with readers, and comes highly recommended if you are looking for some summertime reading pleasure. 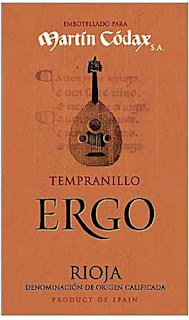 Esposito's book is part autobiography, part travel story, part food diary, and part oenological tale. Frank from Drink What You Like thought that Esposito's life was "fascinating and enviable"--a sentiment with which I concurred. I enjoyed the immediacy of his writing, and the sense that it gave that you were right there, traveling Italy with him and eating great food and sipping great wine. Kori from WinePeeps (who hopes that Italy is her next wine destination) describes the book as "a well-written memoir that makes you feel as if you are sitting at the table with the Esposito family, eating a scrumptious meal prepared with local ingredients and enjoying local wine." By the way, she warns, "the meal could last up to four or six hours." Frank thought the book busted some myths about the life of a wine importer, too. He "noticed several parallels" with Kermit Lynch's Adventures on the Wine Route which we read a few months ago. "In particular," Frank noted, "they both attempt to dispel the myth that the life of an importer is all glamour – traveling the world, tasting countless wines each day, dining at the finest restaurants, and hobnobbing with remarkable wine makers." Earlier reviewers who posted reviews around the blogosphere agreed with our positive take on the book. Richard Auffrey, the Passionate Foodie, was similarly enthusiastic, praising the book's "easy reading style" which made him "hooked from the very first chapter. Sonadora, the Wannabe Wino, received the book as a gift and found that "the book made me want to go scoop up as many native Italian varieties as possible and cook up delicious cuisine to go with them." She took the book with her on a business trip, and found it a "great easy to read book." Evan Dawson of Lenndevours reported that Esposito's "stories are so rich that the reader will seek out the featured producers' wines and feel like they know the story of what is in the bottle." That closes the book on this month's selection. Thanks to Kori and Frank, my indefatigable companions in the Wine Book Club. I'll have the summer reading list for you next Thursday--all inspired by summer travel and summertime dreams. Hope that you will join us next month for our next good read--and a glass of wine to go with it. I don't know what it is, but after Memorial Day it's as if a switch goes off in my head and I start craving salads, vegetables, and fish. If that sounds like you, you might be on the prowl for a summery white that will go well with greens. Finding one is not as easy as it seems. Some Sauvignon Blancs are too grassy and actually clash with foods like lettuce, and Chardonnay can be too rich. 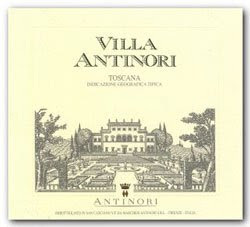 One of the wines I've had recently that I think would be great with summer food is the 2007 Antinori Villa Antinori Bianco (suggested retail $12; available for $10-$13) This delicious Italian white blend is made from a mix of Trebbiano, Malvasia, Chardonnay, Pinot Bianco, and Pinot Grigio. It has fresh aromas of straw, citrus peel, some banana, and a saline note that reminds me of the beach. I enjoyed the refreshing, citrusy palate with its shades of richer banana and a green acidity at the core that's mouth-watering. Very good QPR. This wine would be terrific with salad, a vegetable soup, shellfish, halibut, or even just some guacamole and chips on your back deck some lazy afternoon. 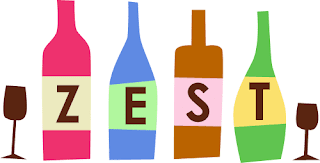 This week on Serious Grape, my Friday column on Serious Eats, I've got my wine picks for this weekend's picnics, cookouts, and barbecues. And these suggestions should get you through the rest of the summer, too. Have a happy and healthy Memorial Day and see you next week. There are many reasons I love Spanish wine any time of year. Many are made with indigenous grapes (always a plus for me). They're food friendly. They're good value. In summer, though, I add another reason to my list: they go great with grilled food. If you'll be taking your BBQ out for its maiden voyage of the 2009 season this weekend, pick up a bottle of one of these Spanish wines to have with whatever you put on the grill. 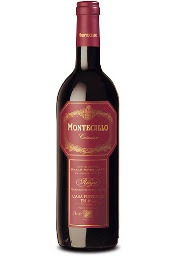 2005 Bodegas Montecillo Rioja Crianza (suggested retail, $12; available for $7-$13) Year in and year out this is my favorite entry-level Spanish Tempranillo. It will appeal to traditionalists, who want their Tempranillo to have the earthy, herbal, leathery loveliness of the grape. Aromas of leather, earth, and herbs will greet you first, with black cherry notes in the background. In the flavors, expect juicy cherries and berries, with a lovely, long aftertaste. For $12? Impossible to beat, in my opinion. Excellent QPR. 2006 Martín Códax Rioja Ergo (available $9-$15) Also made with Tempranillo, this wine walks the line between Old World restraint and New World fruit with its black cherry, mint, and chocolate aromas. Rich berry and cherry flavors have a gamey edge that will pair beautifully with steak, burgers, or lamb. Very good QPR. 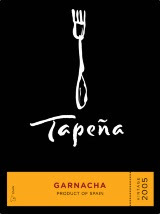 2007 Tapena Grenache (suggested retail $9.99; available for $7-$12) This is a bold, fruity wine with aromas of blackberries and cherries. You'll find more sweet blackberry fruit in the flavors along with some cinnamon, all wrapped up in a softly textured package. An enjoyable wine that will go with a wide range of foods, including grilled vegetables and chicken. Very Good QPR. It's Sauvignon Blanc weather here in southern California--the kind of weather that invites cool, crisp wines and firing up the barbecue. I like really fresh Sauvignon Blancs--including the grassy, tangy bottles from New Zealand. Sometimes, though, these can be a bit assertive and hard to handle. 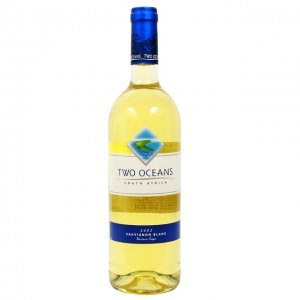 If you like your Sauvignon Blancs fresh but can do without that piercing quality that can be too intense to go with your food, look for an excellent QPR bottle of the 2008 Two Oceans Sauvignon Blanc from South Africa's Western Cape region. 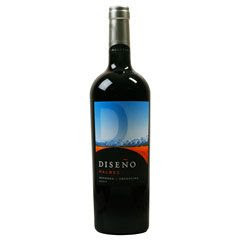 It retails in most places for under $10, and has a screwcap closure so it's perfect for picnics and dining al fresco. With its aromas of gooseberry and straw and flavors of tart gooseberries and lime zest, it's a fabulously unfussy way to enjoy the grape. While its reminiscent of New Zealand Sauvignon Blancs, you'll find it far less grassy and a tad easier to pair with food. What to have it with? How about a simple omelette with some goat cheese and asparagus inside? It will go beautifully with it, and you'll be in and out of the kitchen before you break a sweat. Today is Wine Blogging Wednesday #57, the online tasting note started by Lenn Thompson of Lenndevours and hosted this month by Jeff Lefevere of Good Grape. This month Jeff asked us to "revisit a California wine that they have enjoyed, or have a particular fond memory of, and tell a story." I chose the 2006 Robert Mondavi Winery Cabernet Sauvignon from the Napa Valley. There were two reasons I chose this bottle (in addition to the fact that Jeff's theme was timed to honor Robert Mondavi, who died a year ago). First, my first serious experience with wine was in the Napa Valley on Larkmead Lane, walking in vineyards and climbing wind towers. Though I now drink more widely and am often priced out of the Napa wine market, it is always a treat to taste a wine that reminds me of this special place. Last summer, I met Margrit Mondavi for the first time at Taste3 and experienced some Mondavi hospitality first-hand. It was a treat to visit the vineyard and explore the barrel room. 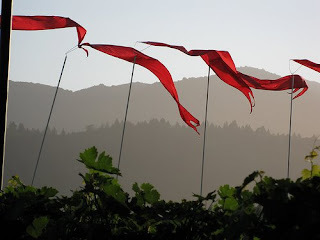 (photo of flags flying over the Robert Mondavi vineyard). The second reason I chose this wine is because it's a wine that I buy and enjoy regularly. Sometimes, I drink them right away. Some times I cellar them--like the last bottles I have from the 2003 vintage that I'm still sitting on and which I purchased for $16.99 back in February 2006. No matter whether I drink them young or with some age on them, this wine always represents excellent QPR in Napa Valley Cabernet Sauvignon. This current release has a suggested retail of $28, for example, but you can find it for between $18 and $25 in most parts of the country. While you can spend more on Napa Cabs, I find that this wine gives me everything I'm looking for in a wine from this region at a more affordable price. The 2006 Robert Mondavi Cabernet Sauvignon Napa Valley had slightly medicinal cherry, green pepper, herb, and currant aromas--all classic for the grape. There was bright cassis fruit, and a slightly licorice aftertaste. The flavors were complex, and there was a deft handling of oak which gave the wine spicy richness without being heavy or clumsy. In my opinion, this is still too young to show to its best advantage, so either decant it or buy a few bottles and put them away to drink over the next 3-5 years. And one of the things to look forward to if you buy a bottle of this wine is that it will be even better with food--pot roast, stew, steak, and roast beef are just some of the dishes that I've had with Robert Mondavi Cabernet. Thanks to Jeff for a theme that should generate a lot of wonderful posts. Gamay is a grape that is most often associated with France's Beaujolais region. Whether made into the mass-exported, fresh-and-fruity Nouveau Beajolais or the far more dignified Cru Beaujolais, Gamay is a nice change of pace from heavy, spicy reds. With their lower alcohol and a ability to take on a slight chill without losing any flavor, they're perfect for summer, too. But not all Gamay comes from the Beaujolais. I've had two bottles of Gamay recently that don't come from this famed region. One comes from France's Auvergne, and the other from the Unites States' Sierra Foothills. Both are worth a closer look if you are interested in experimenting with Gamay not from the Beaujolais. First up is the NV Jean Maupertuis La Guillaume from the Côtes d'Auvergne VDQS. ($19.99, K&L Wines) I really loved this pale cherry-colored wine, almost the color of a very dark Spanish rose. It was slightly cloudy, and boy did it have an aroma of barnyard when it was first opened. The overpowering aroma dissipated quickly, but it left behind a topsoil smell that remained to accompany the raspberry notes. Sour cherry and pomegranate seed flavors were accompanied with earthiness, too. This wine was best with food, and was very good chilled slightly with some grilled chicken. Unusual, earthy, and good QPR. If you want to try a Gamay from closer to home, get yourself a bottle of the NV Avanguardia Amatore from the Sierra Foothills. ($18, direct from the winery) This terrific domestic red was a dead ringer for a Beaujolais red. Made from a blend of red grapes including Gamay, Corvina, and Rondinella this wine had classic cherry and earth aromas and flavors. The wine was very juicy, with touches of chalky dryness. It was great to taste something out of California that has such restraint, and I enjoyed every drop of this very good QPR wine. It was excellent with grilled chicken, and would be equally good with grilled sausages or vegetables. Full Disclosure: I received the Avanguardia Amatore as a sample. Sergio Esposito's life began in Naples, but he moved to New York when still a child. As a grown up, he found his feet--and his tastebuds--returning to Italy, first as an imbiber of Italian wine, then as a retailer, a sommelier, and finally an importer. May's selection was picked by Kori from Wine Peeps, and as I leaf through the book I have to say I am glad she picked it. It looks like the perfect late spring read, a book to not only make you want to know more about Italian wine but to give you the experience of a summer vacation right from your own armchair. If you have any other great "armchair travel" books with a wine slant, please leave your suggestions below. Now that the weather is turning warmer, it will be nice to turn to some evocative books that will take us away from it all without leaving our own house. Other summer wine reads? Suggest them, too. As always, post your review or leave your comments in this post before 5 pm on Wednesday, May 27, 2009 so that I can include them in the roundup on Thursday, May 28. Summery food and warmer temperatures seem to cry out for an equally summery wine. In my book, there's nothing quite so summery as Riesling. Is it because many smell of peaches and honey? Perhaps. Is it because they pair so well with the spicy food that makes you sweat? Quite possibly. Or is it because their lower alcohol levels mean that they are refreshing? The answer, I suspect, is all three. If you are are in the market for a Riesling as the mercury rises, the 2008 Estancia Riesling is a very good QPR from California's Central Coast. ($15 suggested retail; available online for under $15) There were summery aromas of apple, peach, and white flowers with the tiniest whiff of a mineral note. The flavors are very peachy, like biting into the ripest summer fruit, but there is plenty of acidity to keep it all in balance. The wine is off-dry, which will make it perfect for Thai, Vietnamese, or spicy Chinese food. Or chill down a bottle to go with some spicy peel and eat shrimp or some Sushi. Last weekend, I had the pleasure of attending the 2009 Hospice du Rhone event in Paso Robles. It was a wonderful experience--full of great wine, great conversation, and great food. I'll have a full story on Friday on Serious Eats, but until then I thought you might enjoy seeing some images from the event. Stay tuned for more both here and on Serious Grape, my weekly column on Serious Eats. Stylish is one of those wine words that critics use in all sorts of ways. When I describe a wine as "stylish," it doesn't mean that the wine is trendy. Instead, it mean that the wine has classic flavor profiles with all the right accessories--in terms of aromas and aftertaste--to convince you that you are drinking a well-made, varietally-correct bottle. It has to have complexity, a certain charm, and of course it always helps if you can get it for a great price. I found just such a bottle in the 2007 Diseno Malbec. (suggested retail $12.99; available for $8-$19) It had abundant aromas of blackberry, black tea, and flowers. Right away I was taken with the wine, given the complexity of the layered smells wafting by my nose. There was bright blackberry fruit in the center, with nice acidity that cried out for food and gave this wine a lot of lift. The aftertaste had deeper, darker notes of black tea, tobacco, and violet to keep it all interesting from one sip to the next. Excellent QPR. Malbec is terrific with grilled steak and some traditional sides like baked potatoes or french fries. This would be a great wine to have on hand if you are preparing your grill for the first trial run of the summer. The wine has enough acidity to hold up to most anything you have to accompany your steak, and the rich flavors will pick up every nuance in the grilled meat.